Understanding which procedures are necessary and which are not. 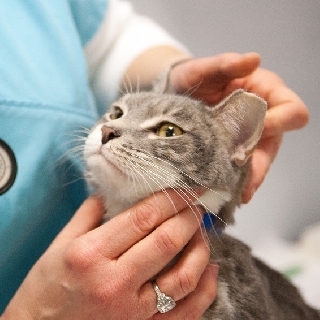 Find out more about two common procedures your cat should have done—and one that he shouldn’t. Spaying and neutering involves removing or marking inactive an animal’s reproductive organs so he or she cannot reproduce. It is the best way to reduce pet overpopulation as it stops animals from having unwanted litters. All cats adopted from PAWS Chicago have been spayed or neutered. Dental health is an important part of your pet’s overall health. Research has shown dental issues can cause other health problems, so it is important to have a yearly veterinary exam done of your animal’s teeth. While preventative maintenance is necessary, your pet is also likely to need a dental cleaning at some point in his life. Dental cleanings require the animal to go under anesthesia so the jaw and teeth below the gumline can be assessed as this is where most disease occurs. Dental cleanings without anesthesia are not recommended as they cannot properly assess these areas. During a dental cleaning, similar to humans, plaque and tartar is removed (scaling), then the teeth are polished. If any teeth are cracked, broken or diseased, they may need to be extracted. When you declaw a cat, you physically remove the nail and a part of his toes. It involves a very painful surgery and recovery period and alters the alignment of his spine. 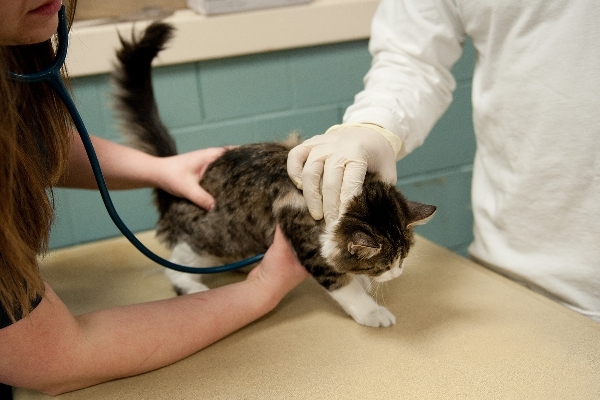 Some cats’ personalities and behaviors change as a result of this painful surgery. It is consistent with amputation and should never be done. Scratching is an innate behavior and should be addressed by providing your cat with the proper equipment and place to scratch as well as plenty of play and exercise.